From time to time we learn of foals, fillies and colts for SALE. I wish that we could buy them all at OFFIELD FARMS and give them the training and upbringing they require to be the best they can become. I am happy to help you with any training advise, rider referrals, or guidance that you ask for. My stable in Northern Michigan will be an available site to bring these youngsters along. Please view the farm on www.breknridgefarm.com. Send me emails at info@offieldfarms.com with details about the horse for sale, photographs and videos if possible and lets see if we can let this website work for you. Tell your friends to keep checking with me here and good luck with your babies whether you keep them or post them for sale. ” He is a wonderful horse, such a pleasure to work with! We plan on competing him in the FEI six year old division this season.” Thank you to rider Thomas Walker for loving your Lingh ! 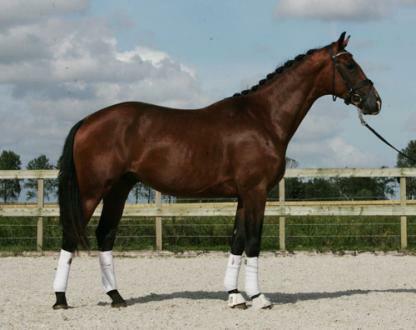 Extremely talented six year old stallion by Lingh offered for sale by Dalhem Farm. 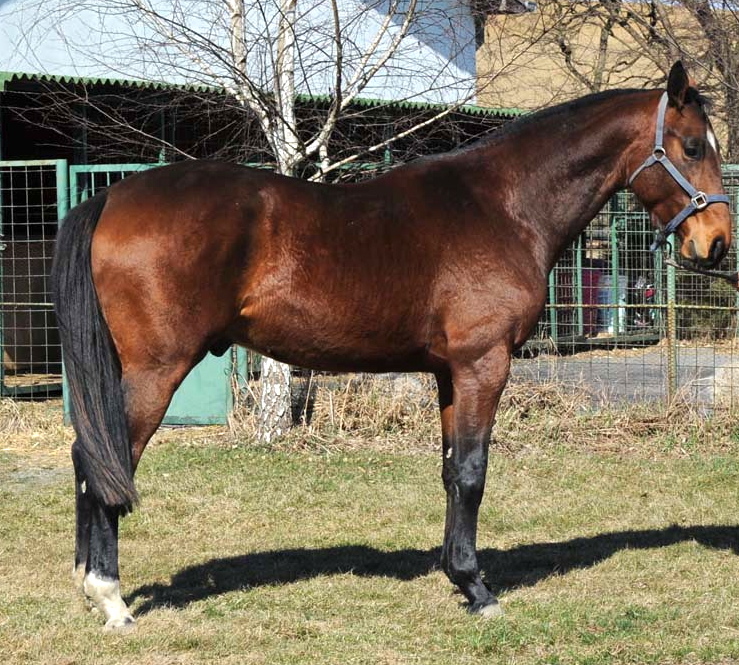 Very elastic, free moving horse with wonderful ridability, temperament and three fantastic gaits. “Argos” has been very successfully competed last year in the FEI five year old division and will continue this year in the FEI six year old classes. Beautiful lateral work, super expressive- Argos is currently schooling all movements through Prix St Georges and is showing a great talent for piaffe and passage. INFORMATION FROM THE BREEDER :  "He was born in our stables. I myself helped to give him birth from our mare. It was our second attempt to get a foal from the combination of famous lineage. Libertus is not aggressive, rather he is communicative, compromising and an intelligent horse. His height, this summer of 2013,  is 173cm [ 17 hands tall ] without shoes. He is a very correct horse. I can see this about him, even his hooves wear equally. It is equally easy for him to flex his spine on a spiral on the right and the left. He has healthy and strong hooves and joints. Intelligent eyes. Pure breath. We have 1-2 times per week accomplished a gallop training in the open arena on the deep sand. As part of his early conditioning , he raced twice for a "Prize of 2000 Guineas" (1609 m) per session without a problem. Like father like son, Libertus. 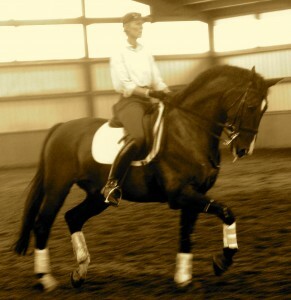 Sire Lingh was approved for the KWPN in 2005 & is described as an honest and reliable stallion that is easy to work with. The great achievements of this stallion match his absolutely stunning conformation as an athletic modern riding type. 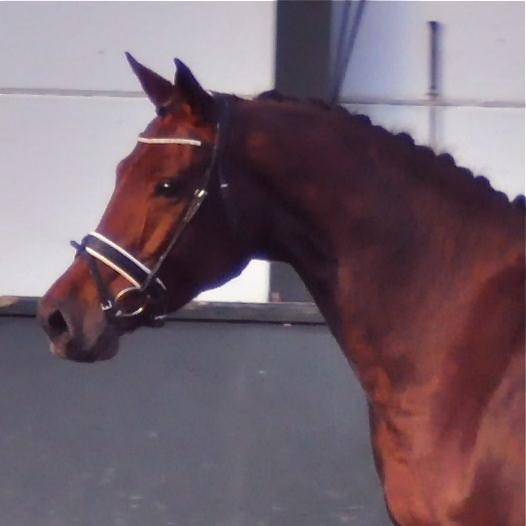 Lingh show results that put him at the top of the WBFSH Index, ranking him the number one dressage stallion and third in the world during his competitive years. Lingh’s performance career is one of the most impressive in dressage breeding history. Dam Santana. 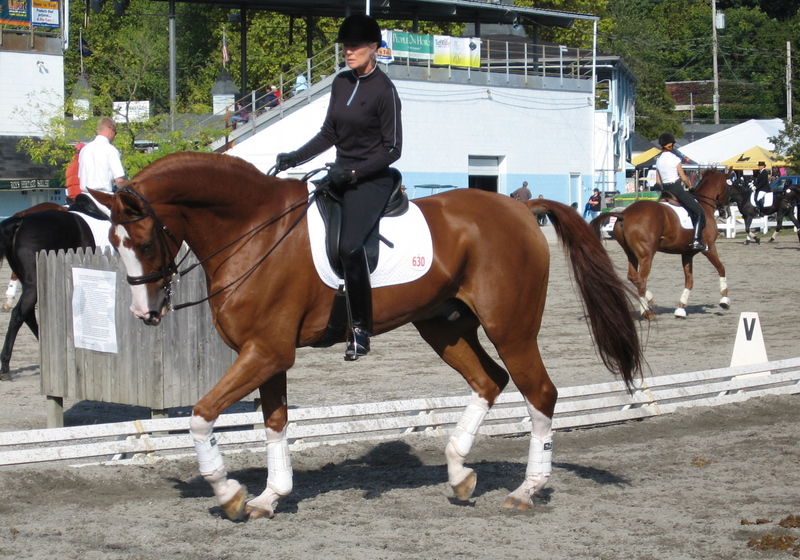 Her Sire- Rotspon in the 2010, Hanoverian Stallion Book is credited with 606 competition progeny, 480 dressage competitors with 27 progeny competing at S level. 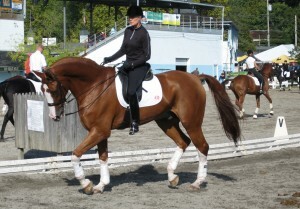 Rotspons FN dressage breeding index is 140 with a jumping index of 84. 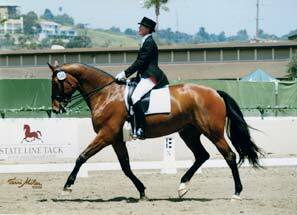 His Hanoverian dressage index is 135 with a jumping index of 78. 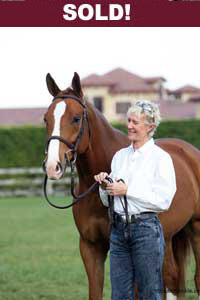 Rotspon was named US Dressage Breed Show Champion by the USEquestrian”Sires of the Year”. The chef of Cavalry School in Saumur general LHotte said that blood may fill in all other horses qualities, but nothing can replace blood. Libertus has 56% of blood /OX. Light bay, four white socks and a blaze. Very well behaved and has excellent manners. He is a very laid back happy go lucky guy. He leads perfectly, picks up his feet, lets you pull his mane with little fuss, loads onto trailer, bathes, and just loves to be the centre of attention. He has an amazing canter with an amazing bum to propel him forward. He has shown signs of having his papa’s “super trot”, but never when I have my video camera or other people around (of course). BEIJNG – by Lingh – An Easy Horse to ride, and easy to Purchase…. you will fall in love with this mare ! Easy to visit and try, in The Netherlands. Beijng is an acquisition for many buyers to consider! With her good-looking head, she knows how to impress you from the first moment you meet her! Beijng is not in full training, so it is to your advantage, to train her YOUR way! It’s amazing…When she is not ridden for several days or weeks you can start again and it seems like you did ride her just yesterday! She is so easy. We went a few time into the woods and that went very well. Under the saddle she is a quite a balanced mare with a quiet temperament. She has a big will to please, and is not to sensitive or spooky. On the ground, by hand she is is also very easy to handle! She is quite calm but very attentive! She stands always with her head out of the box to see what is going on. A super fine horse to have! For sale due to overcrowding ! 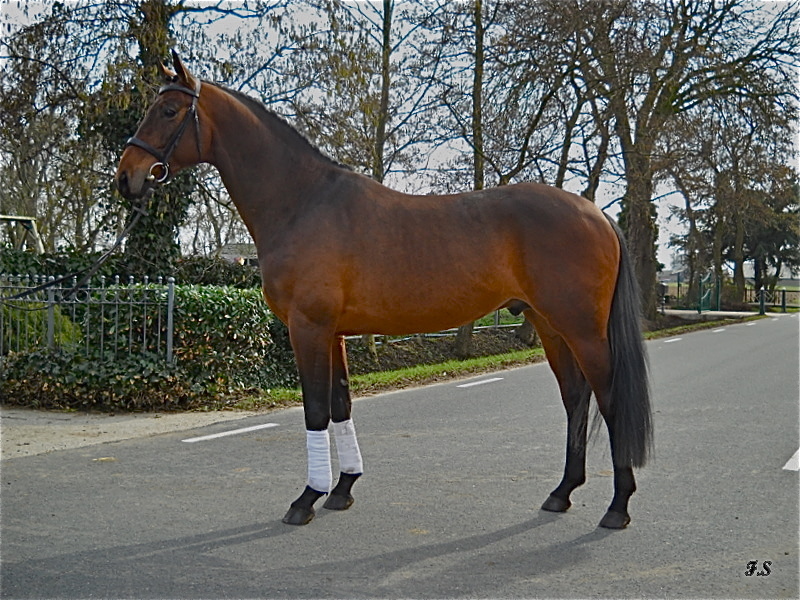 Cilotte is a 4 year old very talented dressage horse of the descendant Lingh.She is included in the pedigree of the KWPN. She is a horse for sport and breeding. Cilotte comes from the lineage 113,334 breeding family. 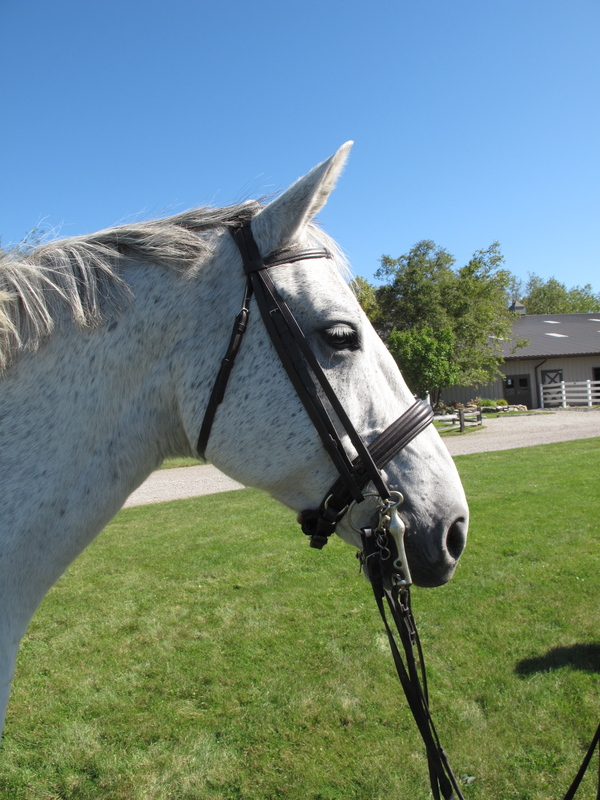 She is a very nice horse to ride, super light on the hand and constantly in balance and light in the bridle. This summer she was Reserve Circuit Champion of England in the L1. 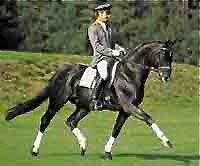 Her mother was Jilotte ZZ- in Dressage and three years as Reserve Champion of the Netherlands. 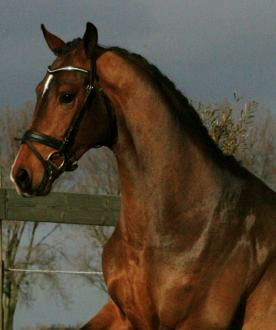 She is ranked 34 of best performance mares in the Netherlands. The grandmother, Liselot, was mild (?) Tour champion and Horse of the Netherlands. Sister Rilotte is in Light Tour. 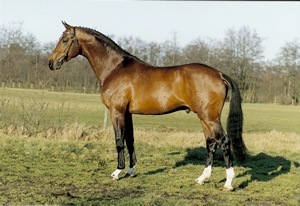 Stir Prestino Z2 and runs as a colt belonged to the best 10 in the Netherlands. Video of horse is also available. 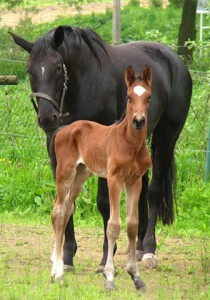 Congratulations to Brigitte – you can contact her about the foal at the website below. START YOUR OWN LINGH BREEDING BUSINESS ! LINGH BROODMARE FOR SALE ! 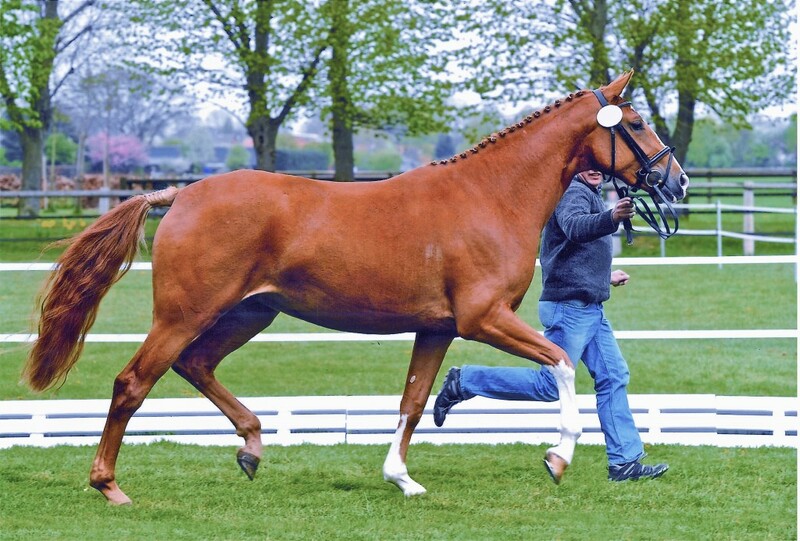 A Distinguished Foal at her own inspection, this three year old broodmare Lightning by Lingh, is due to have a Bailamos Biolley ( Sir Donnerhall x Florestan – Gestut Sprehe ) foal in April of 2011. Lightnings dam line produced the famous stallions Sandro Hit, Diamond Hit, and Royal Hit (out of Loretta). “Lightning” is an easy to handle mare, friendly to people, with three very good gaits and a flawless, nerveless character. She has been ridden and is easy in the connection and gives a very good feeling. 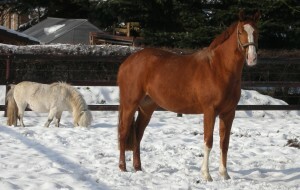 “I have a 4 yrs old colt by Lingh for sale. to work with. X-rays are available and he is 100% healthy!! 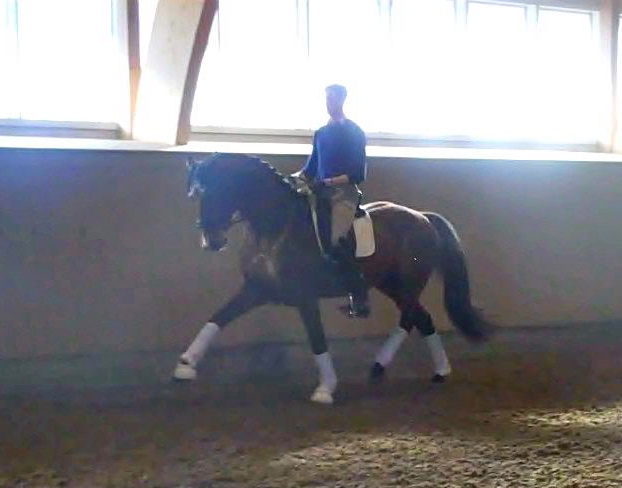 to the Oldenburger stallion SORENTO (Sandro Hit). DONNERHALL out of a mother of PIK BUBE. A former thoroughbred race horse rider, hunter jumper competitor, and all around horse woman has contacted me to help her find a gelding by Lingh, between 2 and 4 years old. She will provide excellent references from clinicians and will be able to stable him on her own 4 acre farm. She lives in the western sector of the United States so travel expenses and a complete vet exam must be considered in the geldings price. Please contact me at info@offieldfarms.com asap. Chapeau S growing up ! 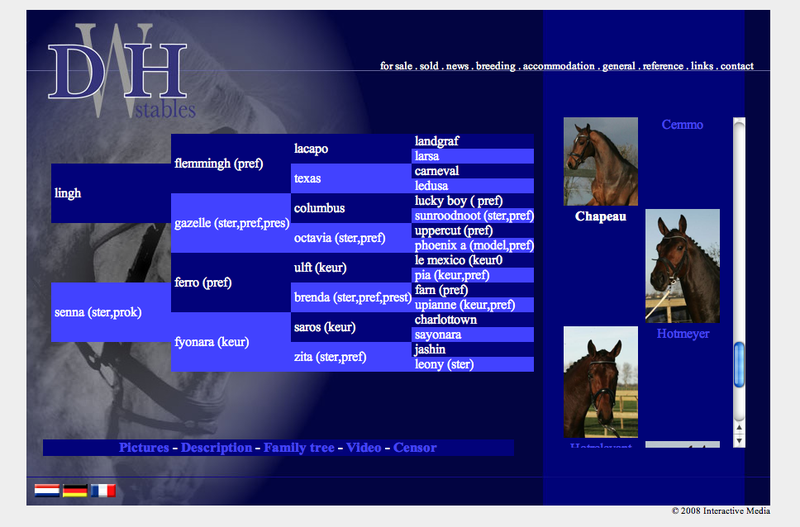 Chapeau is a pretty, generous stallion with a beautiful long neck and he creates a friendly atmosphere when in work. Chapeau S is honest to deal with and an easy horse to work. Additional details and contact at http://www.dwhstables.nl Mention you saw his picture HERE ! The mare lines for her are Aloha , Blanco, Almerina II A great winter project. Big size mare, close to 16.1 hands. 12 year old Kwpn Gelding for sale. 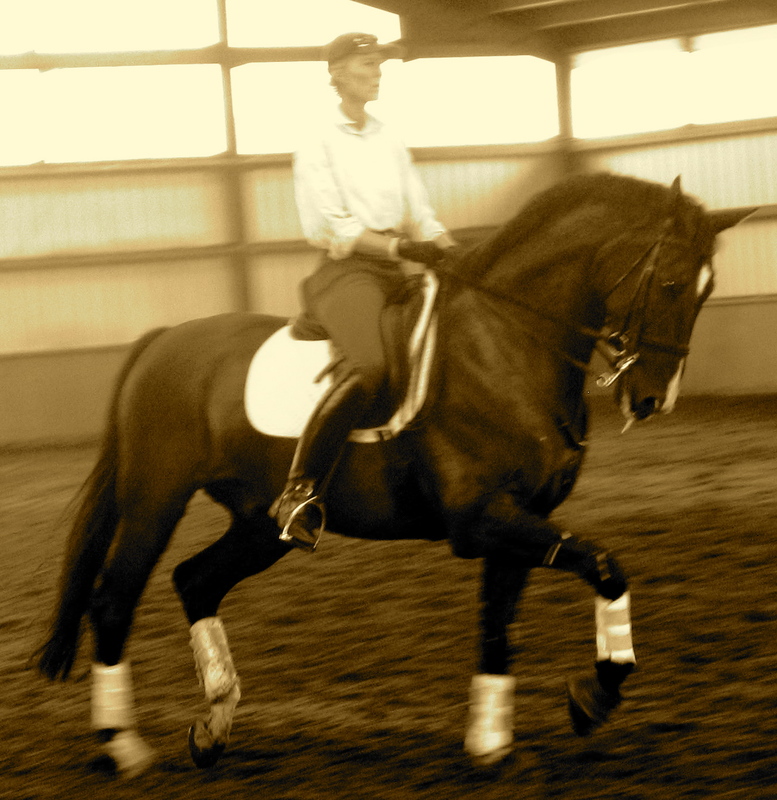 Oz, is a 16.2 hands experienced dressage horse. He has a generous character and is easy to ride. He will win for you as you progress through the levels. His sire is Wagenaar and Dam is Carola. Oz has been owned by Karin since he was three years old. He scores in the upper 60’s and low 70’s throughout his career. He has a kind and generous disposition and is perfect for a rider that wants to learn classical dressage through the levels. This horse is kind and safe for your clients, he is well trained into FEI levels and will be ready for low level horse shows this summer. Quiet enough for a beginner, nice enough for your child’s first “big “ horse, or for an amateur to move up the levels. Great for lessons too ! For Sale : Trenton – An Offield Farms Sport Horse BY TIAMO, his first foal. Coming 6 year old for sale, Trenton is a 16 hand sport horse . He has a sweet attitude, and his intelligent and quick learning ability and a desire to please will make him a best buy this season. Priced to sell quickly. 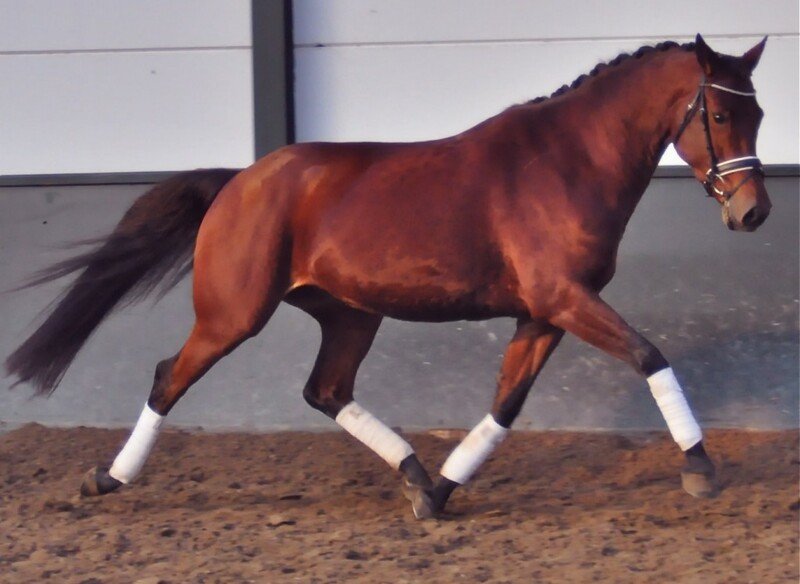 He is sired by Offield Farms’s Tiamo Trocadero, (An Olympic Dressage Horse) and a 1995 All-D-Reiterhof Oldenburg Mare by Eskapado, Einblick-EindruckII, Der LoweXX. Trenton has been in training since November 2007 only. Flat work, lunging lessons and a week of jumping have proven that he, like his sire Tiamo Trocadero, will have a long successful career in any equestrian discipline. info@offieldfarms.com Sold to a good home only. 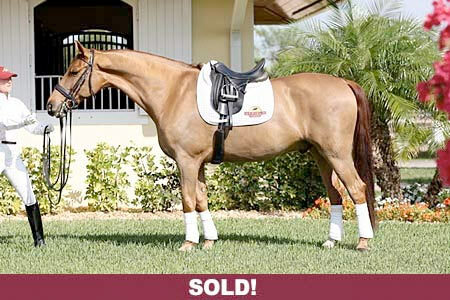 Tiamo’s first colt, found as a 5 year old, trained to ride, jump, easy dressage and sold ! 14 year old Hanoverian Grand Prix Schoolmaster. 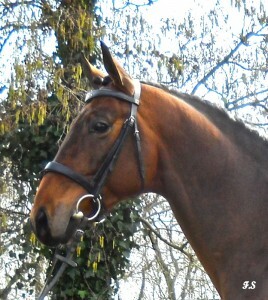 Beautiful Prix St. Georges/Intermediaire I horse. Schooling Grand Prix. Professionally trained by Michael Etherly. Suitable for an amateur, young rider or professional. Katalina qualified her amateur owner for USDF Regional Championships at PSG. Has received scores over 70% at Prix St. Georges and I-1, including a 72.750% at PSG. Has shown successfully on the competitive Florida and California circuits. Very well bred. By Burggraaf. Burggraaf is the sire of the approved stallions: Graaf Grande, Budweiser, Manhattan, Burgunder, Habsburg, Bachelor, Fellini, and Kroongraaf. 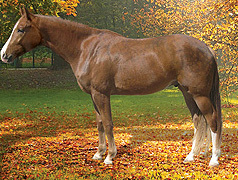 Burggraaf is also the sire of Offield Farm’s stallion Hexagon’s Louisville, chosen for the 2004 Dutch Grand Prix “B” team. 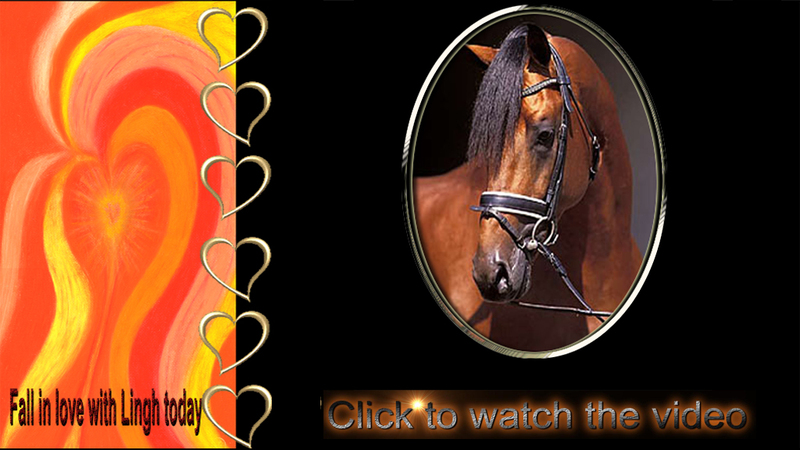 This is a great show mare or a fantastic breeding mare with the lines to produce successful jumper and dressage horses. Offield Farms also makes regular trips to Europe. Let us know what you are looking for and we can help you find your next horse. We have great contacts with excellent reputations.